Since 2008, Red Cloud Indian School (RCIS) and its partners have advanced what they call the Lakota Language Project (LLP), a K-12 Lakota language curriculum focused on developing lifelong language leaners. "In the first phase of our project, we focused on textbook development and materials for the classroom, while providing professional development for our teachers and making Lakota language learning strong and consistent at RCIS.” explains Melissa Strickland, LLP project coordinator. Now in phase two, the team of staff and community members have begun to focus attention outwardly, reaching parents, guardians and community members so they, too, can support their language learners as they advance. “Because we view this project as a contribution to the​ ​language community, ​we have been working to​ ​increase our outreach efforts. Now that we are in our next phase we have broadened that scope by taking the language outside of the classroom, directly to our RCIS families,” adds Melissa. Each engagement session will be designed to build confidence and increase language usage through educating and building—through healing and pride—the nasúla, tȟawáčhiŋ (mind), naǧí, haŋblóglakapi (spirit), and čhaŋtégnaka, wóčhaŋtognake (emotions). “Our language teachers and members of the Lakota Immersion Daycare will create an atmosphere of comfort, encouragement and guidance. As an example, the focus of this first session will be around morning phrases families can use within the home,” says Vance as he prepares for the first Lakȟól’iyapi Kičhímani session. 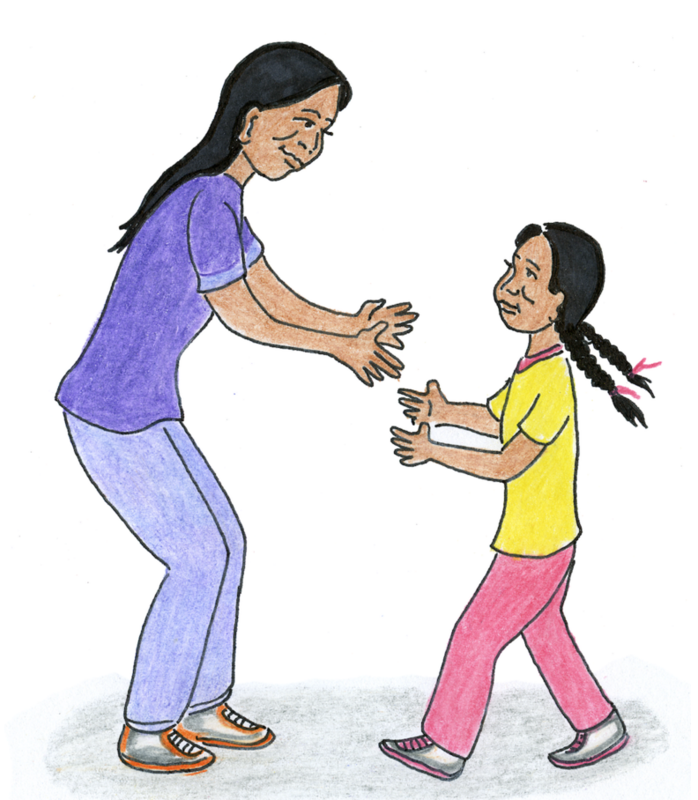 Future sessions will introduce the time of day and appropriate language and phrases for interaction within families: wí hinápȟa, áŋpahaŋ (rise of the sun, during the early morning), aŋpétuhaŋ (during the day), ȟtayétuhaŋ (during the evening), and haŋhépihaŋ (during the night time) according to Vance. 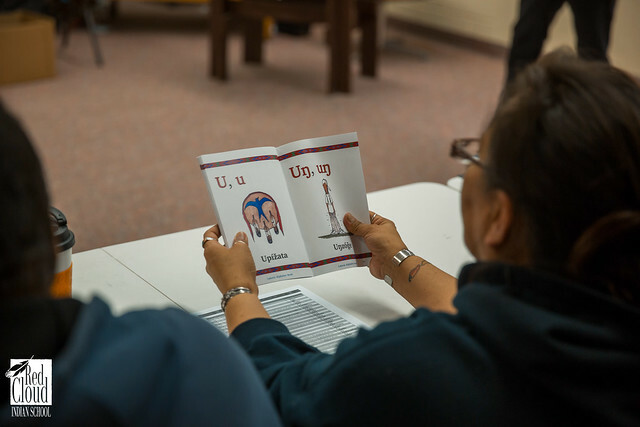 With each session, families will be introduced to the orthography, or writing system, utilize at Maȟpíya Lúta Owáyawa (Red Cloud Indian School), along with curriculum and other materials that have been developed through the LLP. The next session will be held in late February. If you have questions or would like more information, please contact Vance Blacksmith at (605) 867-5888 or vanceblacksmith1@redcloudschool.org. Experience the First Session with a look in the Gallery below!